Ph.D. 1979 University of Paris, France. Postdoctoral research at University of California, San Francisco, USA. 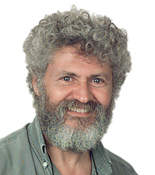 Group Leader at EMBL 1985-2013. Visiting Group Leader at EMBL since 2014. Ubiquitous abundance distribution of non-dominant plankton across the global ocean. A new sequence dataset of SSU rRNA gene for Scleractinia and its phylogenetic and ecological applications. Stu2p and XMAP215: turncoat microtubule-associated proteins? In: Endow S, Glover D (eds. ), Dynamics of cell division. Frontiers in Molecular Biology, vol 20. Oxford University Press, New York. pp 97-123. J. Cell. Sci. 111 ( Pt 15):2077-2083. In: Celis J, Cell Biology: A laboratory handbook, vol 2. 2 edn. Academic Press. pp 326-335. Distinct roles of PP1 and PP2A-like phosphatases in control of microtubule dynamics during mitosis. Spindle assembly in Xenopus egg extracts: respective roles of centrosomes and microtubule self-organization. Movement of nuclei along microtubules in Xenopus egg extracts. Purification of recombinant cyclin B1/cdc2 kinase from Xenopus egg extracts. S-phase induction by adenovirus E1A requires activation of cdc25a tyrosine phosphatase. Semin. Cell Dev. Biol. 7(3):367-378. Regulation of Cdc2/cyclin B activation by Ran, a Ras-related GTPase. J. Cell. Sci. 108 ( Pt 3):1217-1225. Postembedding alpha-tubulin immunolabelling of isolated centrosomes. J. Cell. Sci. 107 ( Pt 11):3127-3131. Activation of the phosphatase activity of human cdc25A by a cdk2-cyclin E dependent phosphorylation at the G1/S transition. Orientation of spindle axis and distribution of plasma membrane proteins during cell division in polarized MDCKII cells. Fertilization of Xenopus eggs imposes a complete translational arrest of mRNAs containing 3'UUAUUUAU elements.